Alternative idea to #31015. Or is the root method still needed? 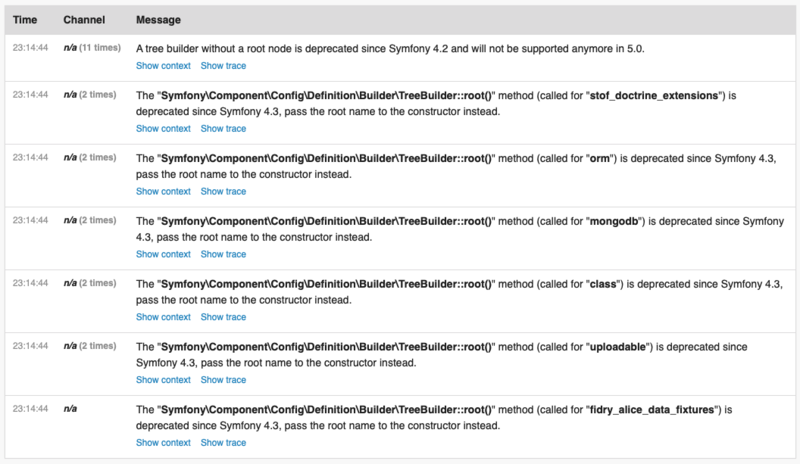 Oh, please mention the deprecation in the component changelog file as well as in the upgrade files for 4.3 and 5.0. Alternative idea to #31015. Or is the `root` method still needed? This makes compatibility for older versions much harder as you still need to call root() in those cases, while passing the name to the constructor was was already possible. What about checking if a name was already set in the constructor, and it equals the passed name. In this case, return $this->root and do nothing, otherwise throw an deprecation instead. To ensure forward compatibility you still need to check if the root() method exists. But least you don't get any deprecation warnings. As far as I know many libs already use method_exists.